Hey friends. It’s Corey with Buying Houses in Nashville. So, I just got off the phone with a seller, and we were talking about foreclosure. It’s a scary word. This seller and I had set up an appointment next week to start the process of getting their property sold BEFORE the foreclosure. They got a call from one of the family members, and that family member talked them into listing the property with a realtor, which is fine. It doesn’t hurt my feelings. Okay, it hurts my feelings a little bit. What I told the seller was, “That’s fine. I just want you to know that 99% of realtors out there do not know anything about foreclosure.” When there’s a pending foreclosure coming, there is a time limit, and it can be scary. If you let the property go to foreclosure, you lose all your equity you have in the property. Your credit is ruined for seven or more years. It’s going to very difficult, or might even be impossible, to buy a property after that. It’s a very scary situation. Over the years we have worked with probably 30 to 40 different agents, working through foreclosures, stopping foreclosures, getting properties sold. We’ve conducted trainings in real estate agent offices, teaching realtors about foreclosure, and how to avoid them. We’ve worked through a lot of short sale negotiation. We’ve worked with a lot of banks. I’ve been in contact with probably 40 or 50 different banks, negotiating and stopping foreclosures. So, we’re very familiar with the process. It’s not something that scares us. So, if you have a pending foreclosure, if you’ve started getting calls from your lender, and you need a solution, I can tell you we have experience with that. It’s not a scary thing to us. We stop foreclosures every day. I will say this. Do not wait until the last minute to call us. We have gotten calls two days before foreclosure. At that point, it is too late. Two weeks, we can usually make something happen. It’s better to call as soon as you know there’s a problem. As soon as you’re seeing missed payments, and you know there’s going to be a problem on the horizon, that’s the best time to call us. We’d love to help save your equity, and be the solution for your problem. See you, guys. There are many different types of circumstances that can cause foreclosure: job loss, health issues, divorce, family issues, medical problems, death in the family, and many more. I’ve been in that boat before….one of the first properties had a tree fall on it and a pipe burst in the winter; insurance refused to cover the cost and we were faced with a difficult situation – foreclosure was a real possibility. We were able to work with the mortgage company, stop the foreclosure, and sell the property. Since then, we have worked with dozens and dozens of sellers and mortgage companies to avoid foreclosure. We can do the same for you. Don’t let the fear of the unknown paralyze you into doing nothing – reach out to us & let us help. How to Avoid Foreclosure in Nashville TN – We are Quick HOME BUYERS in Nashville TN…so if you need to Sell Your Houses for Cash in Nashville, you need to contact us now because we are the local We Buy Houses in Nashville company. We have helped people in situations just like yours in most areas surrounding Nashville. We Buy Houses in Nashville in any condition or price range. We specialize in finding creative solutions to those searching for Who Buys Houses with Cash in Nashville! We help with Nashville Tennessee real estate problems that others won’t. We can pay all cash or take over your payments and close as quickly as you’d like. We will handle all the paperwork, make all the arrangements, and close within a few days if necessary. You’ll get a quick house sale with no hassles, so you can put your stress behind you. Our local cash buying company is ready to make an all cash offer for your Nashville, Davidson county, Williamson county, Rutherford county, Wilson county, Maury county, or Sumner county house. Sometimes selling a house the traditional way with a real estate agent is simply not the best for everyone. As you know, there can be lots of pitfalls when selling a house with an agent, including: having to clean up and repair the property so it shows well, finding an agent who you trust and who can deliver on their promise (selling your house quickly), signing a contract that binds you to an agent for a certain term, the piles of paperwork you have to sign, shuffling paperwork back and forth from buyer to agent to you… and back. The biggest issue with trying to sell with a real estate agent or selling it yourself is often the amount of time retail buyers will tie up a home. Sometimes it’ll be weeks and then they will pull out on the deal at the last second… or have their bank loan fall through. It can all add stress, months to the process, and in the end after paying the agent fees, you may or may not be ahead of the game. The goal with our company is to help make your life easier and to get out from under that Davidson county property that’s stressing you out… while still paying a fast, fair, and honest price for your Nashville TN house. We are local buyers, not some nationwide company gathering information. We are actively looking for houses in middle TN and around the Nashville TN metro area – Davidson County. WHO ARE WE AS A COMPANY? We provide win-win solutions to help local homeowners get out of their sticky situations… like Foreclosure, owning a burdensome property, probate, or a house that is worth less than what you owe on it. 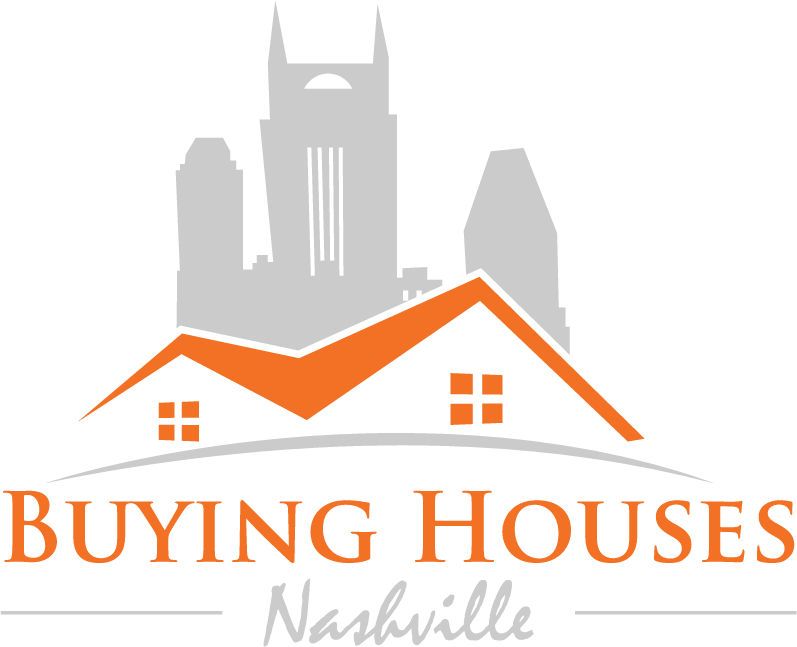 Buying Houses Nashville are a real estate solutions company based out of Nashville, TN with a local office in Franklin, TN. We’re a family owned business and focus on helping Tennessee homeowners like you find solutions for your house selling problem whether you’re going through a foreclosure, can’t sell your property, or just need to sell your house for all kinds of reasons. How to Sell My House Fast without Realtor Nashville, TN , Get Your Offer at http://www.BuyingHousesNashville.com/ or call us today 615-905-0039. Corey: Hey friends. It’s Corey with Buying Houses in Nashville. So, I just got off the phone with a seller, and we were talking about foreclosure. It’s a scary word. This seller and I had set up an appointment next week to start the process of getting their property sold. They got a call from one of the family members, and that family member talked them into listing the property with a realtor, which is fine. It doesn’t hurt my feelings. Okay, it hurts my feelings a little bit. What I told the seller was, “That’s fine. I just want you to know that 99% of realtors out there do not know anything about foreclosure.” When there’s a pending foreclosure coming, there is a timeline, and it can be scary. If you let the property go to foreclosure, you lose all your equity you have in the property. Your credit is ruined for seven or more years. It’s going to very difficult, or might even be impossible, to buy a property after that. It’s a very scary situation.